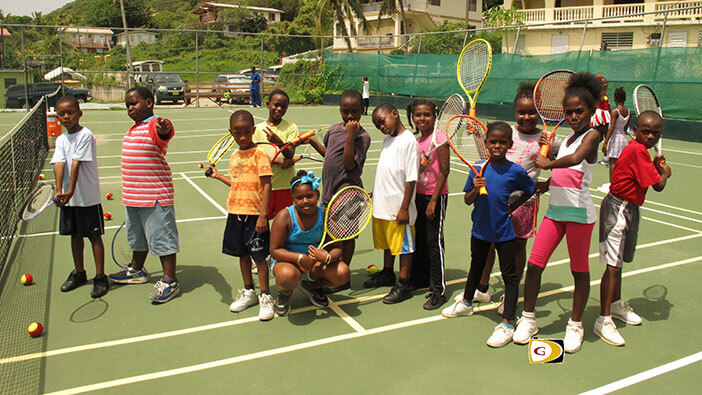 After launching an afterschool Tennis program at the Long Bay Tennis Courts on Wednesday afternoon followed by yesterday’s play day at the Long Look Public Tennis Courts, the BVI Tennis Association is wrapping up its program with a Jr. Tennis Tournament today and Saturday. 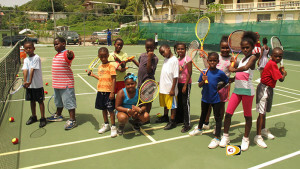 Today’s program targets 10 and under, will run from 4-6 p.m. while Saturday’s activities for 12 and under and 14 and under, will commence at 9:30 a.m.
Association president Carol Matthew said her body was given a grant by the BVI Olympic Committee to bring more awareness to the sport. Mitchell said that since May, they have been seeing more kids involved in the sport as they try to get the program off the ground and build towards the future. She said since they don’t have a home facility, they have to utilize what’s available. The school based program that began in September Mitchell said has been going well and they have been getting inquiries about it almost daily. Mitchell said persons interested in joining the program for beginners and intermediates can join them at the Long Look Public Courts on Tuesdays and Thursdays between 4-6 p.m. There’s a $25 monthly charge which includes the use of equipment.